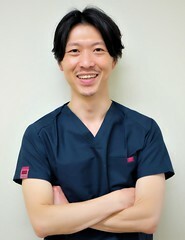 Post written by Tomoaki Tashima, MD, from the Department of Gastroenterology, Saitama Medical University International Medical Center, Saitama, Japan. A 65-year-old woman was found to have a flat-elevated tumor measuring approximately 55 mm in diameter in the second part of the duodenum by endoscopy. The preoperative histological diagnosis by biopsy sampling was high-grade intraepithelial neoplasia. Endoscopic submucosal dissection (ESD) was performed for the lesion. Following ESD, fluorescein was dripped onto non-tumor and tumor sites of the specimen outside of the patient’s body. At other tumor sites, a 29% curcumin solution prepared by dissolving 1.0 g of curcumin (Orihiro Plantdew Corporation, Gumma, Japan) in 2.5 ml of saline solution or a 1.1% tartrazine solution prepared by dissolving 0.03 g of tartrazine (Kyoritsu-foods Corporation, Tokyo, Japan) in 2.5 ml of saline solution was dripped in such a way that these solutions were not mixed. Five minutes later, the sites were observed using pCLE (GastroFlex UHD, Cellvizio; Mauna Kea Technologies, Paris, France). At the non-tumor site, a villiform architecture with uniformly bright, tall columnar epithelium and dark goblet cells was observed. All dripped fluorescent dyes at the tumor sites revealed irregular architecture, which was likely glandular architecture suggesting cancer. The pCLE findings were confirmed by histopathology. Histopathological examination revealed the lesion to be non-invasive carcinoma. Probe-based confocal laser endomicroscopy (pCLE) is an innovative endoscopic technique that enables “optical biopsy” by enabling real-time imaging of biotissue via intravenous injection of a fluorescent dye. Fluorescein, a fluorescent dye with established safety, is used worldwide not only in the ophthalmological field but also for confocal endoscopy. However, the use of fluorescein is limited in Japan because it has not been approved for application in the endoscopy field. For further spread of pCLE, development of a fluorescent dye that is safer and more convenient to use than fluorescein is awaited. We hypothesized that edible fluorescent dyes that are widely used as food additives would allow safer and more convenient pCLE. Thus, we examined whether pCLE can be performed using curcumin and tartrazine, which are edible fluorescent dyes with an excitation wavelength nearly identical to the laser wavelength of the confocal endoscope (488 nm). Curcumin is a yellow polyphenol compound contained in turmeric, a plant related to ginger. A representative food that contains turmeric is curry. Curcumin is the compound that gives turmeric its yellow color. The other dye, tartrazine, is a synthetic lemon-yellow dye primarily used as a food coloring. It is a colorant commonly used in diverse products including cosmetics, clothing, and foods such as jelly and syrup. Our results suggest that pCLE can be performed by dripping a food additive such as curcumin or tartrazine on the tissue. This technique may lead to simple and safe pCLE by avoiding intravenous injection and the dripping of fluorescein onto the mucosal surface.